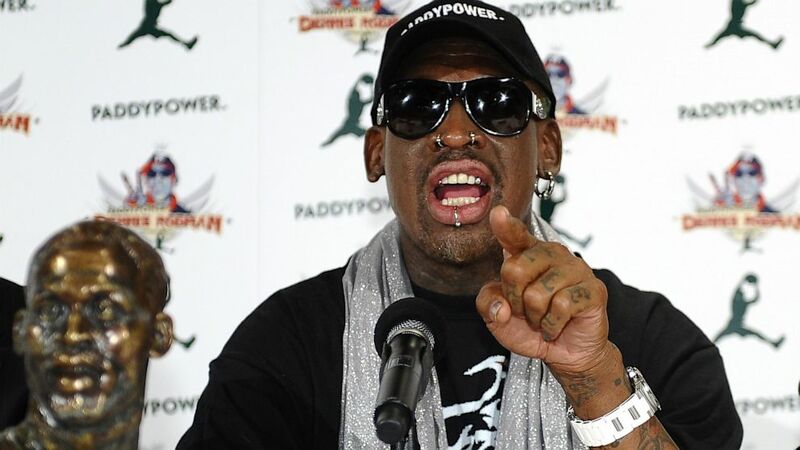 What if Dennis Rodman isn’t all that wrong? This Dennis Rodman saga just keeps getting more and more unbelievable. Unless you live under a rock and/or are otherwise disconnected from modern technology, you’ve heard at least something about the former Bulls forward’s North Korean activities backed by Irish oddsmakers Paddy Power, PLC. Not only has the guy visited North Korea twice, referring to dictator Kim Jong-un as “a very good guy“, he is now saying he plans to return in January to host two exhibition games with former NBA players. He calls it “basketball diplomacy”, indicating at least some knowledge of Nixon’s 1971 ping-pong diplomacy campaigns between the U.S. and China in the midst of the Cold War. The media is having a field day: here is one of the most colorful (literally, too) players in NBA history, financed by Irish bookies, cozying up to the world’s most brutal dictatorship, then showing up to the press conference in classic Rodman fashion complete with cigar, booze*, chains, oversized shades, and more piercings than I can count. Ridiculous, wouldn’t you say? Basically, Pinkston says that before North Korea can change, we must make inroads into the North Korean thought process. Dennis Rodman represents a new approach, an attempt to breach the norm and create a measure of goodwill. Who’s to say if it will go smoothly – the North Korean regime is erratic and unpredictable, and events could spiral wildly out of control. ** Rodman & Co. might be right, might be wrong. But Paddy Power and the International Crisis Group have a very good point: in order to make positive change, the door must first open. It’s just curious this is who they chose to try it. * Visible as he makes his entrance at the 6:20 mark.